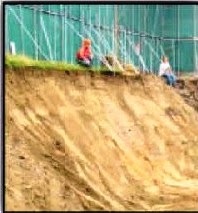 As shown on the photo above, the excavated area has a depth of approximately 4 m. An open excavation presents a dangerous situation. Here, the foreman in-charge failed to carry out the necessary safety measures after completing its tasks, leaving the area in an unsafe condition without proper barricading and signage. 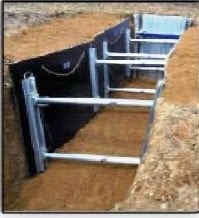 Person or heavy equipment falling into excavation and getting seriously injured or damaged. The safety team observed the potential hazards and instructed to close out outstanding items such as providing proper barricading, signage and rectification works to the area immediately before allowing any activity to commence on the said area. All excavated areas must be attended to safely before and after the work. A safe work procedure must be carried out to prevent accidents. Traffic Management/Logistic Plan shall be in place also and suitable and sufficient barrier for the risk such as pedestrian or vehicle barriers must be placed. Deep excavation signs must be placed with preferred language ensuring that everybody can understand. 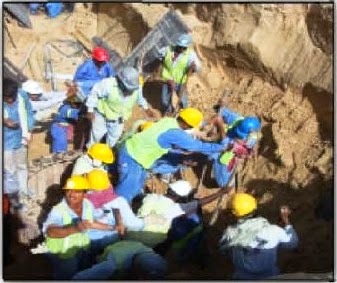 Access in and out of the excavation must be placed so as not to impede on traffic rules nor into a dangerous situation. A worker was doing UNSAFE electrical works on near wet or water area water. There were no earth leakage circuit breakers or ground fault circuit interrupter (GFCI) used. The electrical cables were damaged and poorly maintained and the worker was not wearing his (PPE) personal protective equipment required for the given task. Apparently it is a HIGH RISK of electrical shock or electrocution. 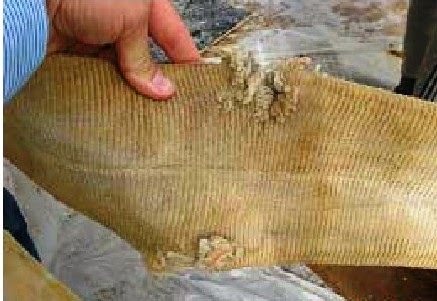 Electrical equipment were not inspected before each use. No regular or weekly inspections made for cables. Employees were not trained on how to inspect damaged electrical equipment/s and what actions to take if identified. Procedures on what to do with damaged electrical equipment were not advised or informed to the workforce. The electrical work was immediately stopped and all damaged cables were replaced to new one. A residual current device (RCD) was supplied and connected for the job/task. All electrical works must have correct and proper earthing prior commencing of any electrical activities. Electricians must inspect regularly or weekly all electrical cables and replace to new one if damaged or as required. Storekeepers must be informed and instruct not to issue any damaged electrical equipments to the workforce. Ensure procedures are given to the workforce to educate what actions need to take place if any equipment they use is damaged. 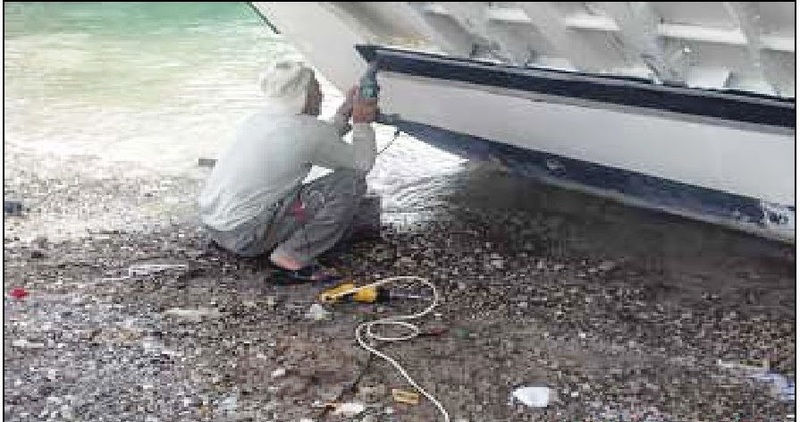 Train and educate all employees/staff via toolbox talks (TBT) on what safe actions to take for any future works with electrical equipment near water. Train and educate employees not to used any damage electrical equipment. Returned it to the store room for replacement. Adopt a work permit system for any electrical works that is to be done near or over water to ensure safe work practices take place before proceeding the works. "On construction sites, domestic type sockets and plugs are not allowed and shall not be used. Correctly color coded industrial plugs and sockets (say yellow for 110V & blue for 220V) c/w armored cable should be fitted and used. Companies must adopt 110V eletrical hand tool policy because 220V can kill a person. 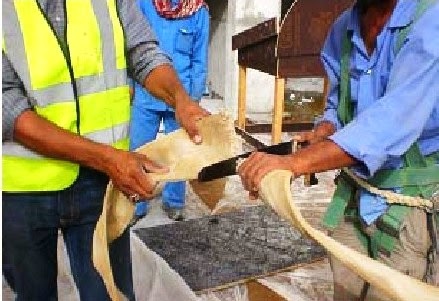 Workers must wear rubber soled safety shoes". The risk is very high - Risk of collapse. Also, the management isn't aware of the dangers this could expose all employees as well. The task was stopped and the forklift tines has been removed. A toolbox talk has been conducted raising the hazards associated with the task performed and all plant operators attended. Employees were reminded and instructed not to fit forklift tines or anything else to the plant. No plant is to be changed unless it is within the manufacturers' guidelines. The management shall instruct the workforce not to redesign any plant or equipment unless it is approved. Supervise work groups to confirm compliance to procedures. Train and educate all employees (via toolbox talk) and emphasize the reason why plant is not to be modified. "Operators to be trained on manufacturer's guidelines and limitations for plant usage, supervision to be in place for lifting operations and method statements to be developed and communicated to all staff before commencement. Earthmoving equipment is to be used as per manufacturer's instructions and that is earthmoving only. Only equipment designed for lifting, which will be fitted with a load moment indicator and load charts to be used." The sling belt was unsafe to use. Later, on the other area, it was identified three more web sling belts were being used that were badly damaged. Lifting equipment was not inspected prior to each use. No regular or weekly inspections has been made for lifting equipments. Riggers were not trained on how to inspect damaged lifting equipement. Procedures what to do with damaged lifting equipment if discovered were not advised and communicated to the workforce. The damaged web sling belts were cut in half and thrown out into the rubbish bin. Immediately notified to the procurement department to order new web sling belts. Inspect all lifting equipment prior to each use. If any lifting equipment is damaged, remove immediately from operation and advised the management and ensure it is destroyed so that other personnel will not mistakenly use it. Initiate regular inspections of all lifting equipment by competent and trained employees only. Ensure procedures are properly communicated to the workforce and adhered to. Trained all riggers on how to identify damaged lifting equipments and what actions need to take place to ensure all workers safety. "Inspection regime to be in place, competent persons to carry out inspections, means of separation necessary to separate usable from defective strops and other lifting equipment such as chains, etc. Companies to design color coding and regular inspection by a competent person in the inspection and registering of all lifting gears prior to use. Store keepers to control the issuing of lifting equipment via a register book or card system. Good practice is to set up a quarantine cage that is under control of store or safety section. In this way, any discrepancy items can be controlled until the next third party inspection". Aggregate bags are used for soil, sand, gravel etc. The bags are made of nylon material which can be torn and split quite easily if mishandled during transportation or storage. 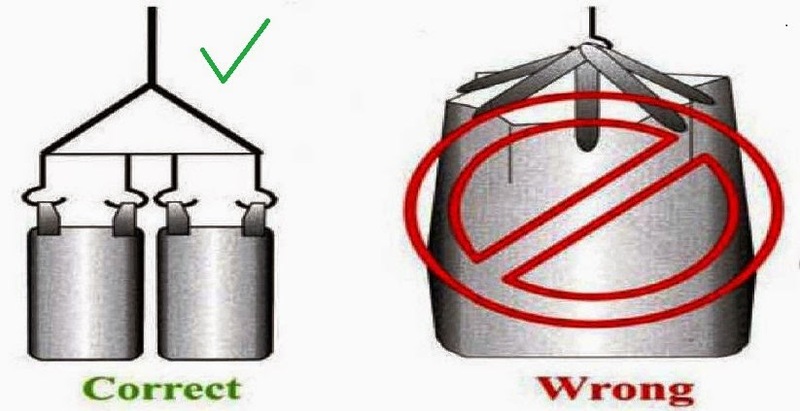 During lifting operation, the loops should be straight and not an angle and the hooks should be of sufficient size not to crush the loops. Majority of bags delivered to site are certificate to lift 1 Tonne of aggregate by a Fork Lift. The term 1 or single is used to described their certification, meaning once delivered and emptied they are scrapped and not used again. Other multi use bags are available with certification however they require the use of a lifting frame or spreader bars and inspection of the bag and loops prior lifting. Sample photo below shows proper way of lifting aggregate bags. 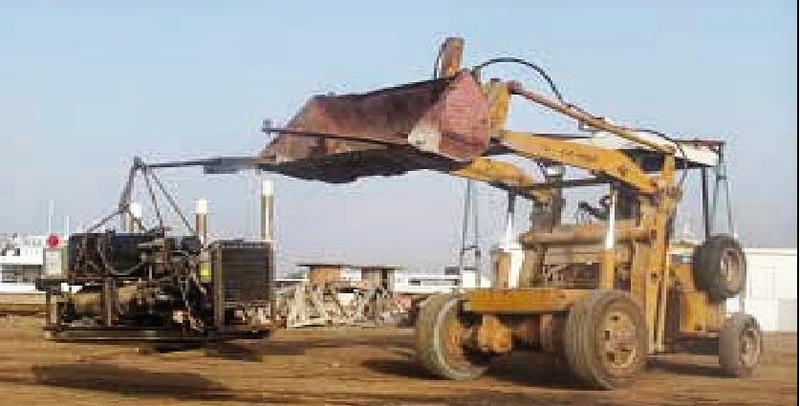 Operators on some sites had problems regarding lifting of aggregate bags. What to do when you are involved in lifting aggregate bags? 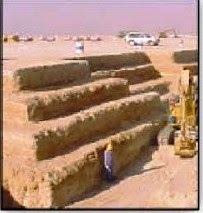 Apparently it is relatively low risk to lift aggregate bags if they are kept below head level or height and moved a short distance across the site. If aggregate bags are being lifted higher than the head level then the operation will be at high risk as the bag could split or a loop fail and the contents could be scattered all over the site onto the workers below with the possibility of injury or damage. Lift the bag off the trailer, keeping it lower than the head level and land it either onto a pallet, stillage or a certified lifting skip. Then use pallet forks and a net, the stillage or skip to lift the material above head level to where it is required. The same full bags which require lifting down should also be transported in this manner. 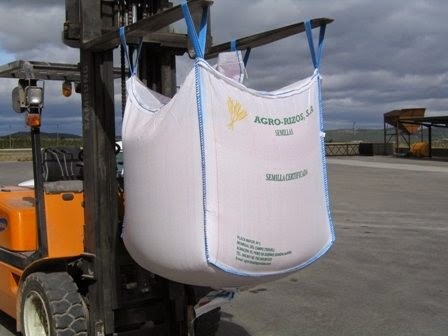 Aggregate bags should not be used as the sole means of lifting materials to upper areas. Lifting operations are the responsibility of the crane user or operator and their Appointed Person at site.